do we have any idea when roar will be diamond? Why americans are not buying CTTR? Does anyone have the detailed sales of CTTR? "Chained to the Rhythm" is Katy Perry's 14th UK top 10; all 21 of her entries have made the top 40. 5.7 million, "Hot 'N' Cold"; 4.9 million, "Teenage Dream"; 4.7 million, "I Kissed a Girl"; 3.8 million, "Last Friday Night (T.G.I.F. 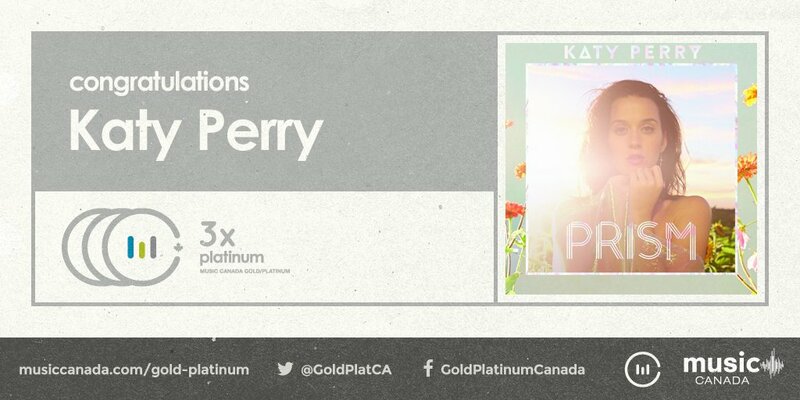 )"; 3.5 million, "Wide Awake"
2.9 million, "Part of Me"; 2.8 million, "The One That Got Away"; 2.3 million, "Waking Up in Vegas"; 1.3 million, "Unconditionally"; 1.1 million, "Thinking of You"
Perry has sold 6.5 million albums and nearly 70 million digital tracks.